The Mutual Broadcasting System is known among most Network Radio buffs as the incubator of potential hit programs and the hospice for those that had passed their peak of popularity. For example, The Lone Ranger, Kay Kyser’s Kollege of Musical Knowledge, Meet The Press and Break The Bank had their beginnings on Mutual, while Information Please, The Adventures of The Thin Man, Pick & Pat and Walter Winchell finished their Network Radio days with runs on MBS. Nevertheless, Mutual was the home for longtime favorites Queen For A Day, Twenty Questions, The Adventures of Superman, Nick Carter: Master Detective and, of course, The Shadow. Popular as some of its programs were, Mutual’s limited entertainment schedule wasn’t the network’s biggest lure for prospective affiliates. Instead, Mutual was the network for stations that had no other source for national and international news during World War II and the tumultuous postwar years. Frequent newscasts and commentaries from Gabriel Heatter, Fulton Lewis, Jr., Henry J. Taylor, Upton Close, Arthur Hale, Cedric Foster, Henry Gladstone and others put Mutual ahead of NBC, CBS and Blue/ABC in the quantity of news programs it delivered to the radio audience - and approached the quality of the reports broadcast by its more prestigious competitors. 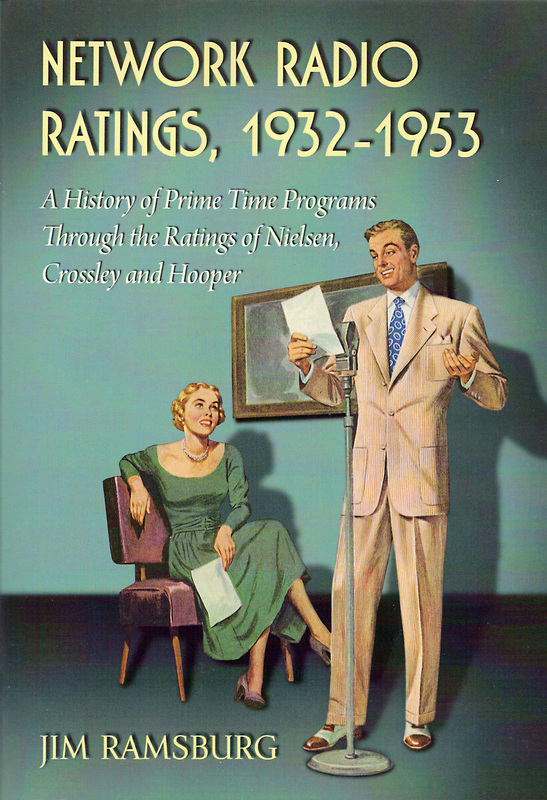 As detailed in Network Radio Ratings, 1932-1953, Mutual was the late comer in Network Radio. When it was founded in 1934 by WOR/New York and WGN/Chicago with WLW/Cincinnati and WXYZ/Detroit as its charter affiliates, Mutual was envisioned to be a cooperative consortium of powerful stations with reputations for originating popular programs that would be fed to the entire chain. The idea of a super-station network wasn’t new. RCA chief David Sarnoff proposed something similar in 1923 - but his concept was primarily for the transmission of programs before AT&T lines became available for his networking ambitions. Program sharing among stations had also been tried before by WOR, WLW and WXYZ as The Quality Broadcasting Group in 1929. It failed. As the Mutual Broadcasting System they attempted it again in 1934 and WXYZ’s Lone Ranger was the prototype program. Mutual was formed as a true “cooperative” network, but squabbles soon arose among the partners when WOR and WGN objected to WLW’s experimental power increase to 500,000 watts, complaining that “The Nation’s Station” at 700 kilocycles interfered with distant reception of their own signals, (WOR at 710 and WGN at 720). And, unlike its partners who had envisioned Mutual to be the service for independent stations that wanted to avoid the obligations required by the established networks, WLW remained an NBC affiliate. The odd man was out in late 1935 when WLW left Mutual. Then WXYZ withdrew, although The Lone Ranger remained on Mutual until May, 1942. The network reacted quickly to these losses. It replaced WXYZ with CKLW in neighboring Windsor, Ontario, dropped the idea of pursuing high powered affiliates and set a new course of signing all comers in both large and small markets, urban and rural. The rebound began in 1936 with the affiliations of WFIL/Philadelphia, WABB/Boston, WBAL/Baltimore, WCAE/Pittsburgh, WGAR/Cleveland and WGR/Buffalo. Then the big breakthrough came with the signing of the Don Lee Network of West Coast stations that had severed ties with CBS and the Colonial Network in the New England states . Within a year Mutual had coast-to-coast chain of 39 affiliates and its growth had just begun. In return for its network service, Mutual demanded little from its affiliates except a few hours of option time every day and the monthly charges to lease AT&T lines delivering MBS programs from the nearest affiliate’s city. Another carrot for affiliation was Mutual’s pioneering of co-op sponsorship - providing network sponsored programs with several minutes available for local commercials. It’s a practice still in use by radio, television and cable networks today. As a result, Mutual grew to become the largest radio network with 488 affiliates at its peak in 1947 - over 45% of the nation’s 1,062 commercial stations at the time. The network expanded to 560 affiliates by 1952 but the postwar surge of AM stations to 2,331 lowered Mutual’s percentage of the total back to 24%. Nevertheless, 42% of all network stations that year were Mutual affiliates. Mutual couldn’t compete with the star power of its competitors that monopolized the high powered affiliates in the three dozen large markets surveyed by the rating services, so it sold the blanket coverage of that its hundreds of affiliates offered. Mutual often reached every corner of states with a dozen or more rural stations while “major” network affiliates were confined to the metropolitan areas those states. It was the exact opposite of Mutual’s original business plan, but it worked. That's what they said to Robt. Fulton about the “Claremont” - to the Wright Brothers before Kitty Hawk. So they did! Later they yelled, “Get a horse!” to Haynes, Duryea and Ford. Four-wheel tires and brakes were argued for and against! Every sound idea has had its doubters. Even broadcasting in its “cat’s whisker” stage was not given more than six months before its “novelty wore off." It was the same story with network transcribed programs. People said, “You can’t do that!” But Mutual did because we believe them a good idea - a basically sound idea, a step forward. Coca Cola did it with the Morton Downey program and Hooper has figures to prove that Downey on transcription has been every bit as popular as Downey live - and Downey and his cast will live longer for radio. And we believe that our experience has shown that transcribed programs do not “break up networks” - but on the contrary, they are distinct contributions from the viewpoint of listeners, advertisers, stations and networks. We believe that the trail blazed by Mutual over a year ago is about to echo the tramp of other feet. We know that we ourselves are going to do it - again and again. If, in devising one more way in which advertisers are able to get more for their money, we have at the same time made a contribution to broadcasting - we feel it’s no more than the industry deserves from Mutual. And broadcasting is more than welcome. Note: Singer Morton Downey’s Coca Cola show that Mutual touts In this self-congratulatory ad was a weekday afternoon program that moved to NBC two years later, so Crosby‘s ABC show is still regarded as the first pre-recorded prime time show. 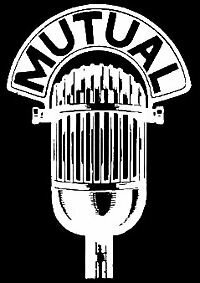 Transcribed programming aside, Mutual’s greatest legacy for today’s networks - radio, television and cable - is of another technical advance, one that took place a quarter century after the Golden Age ended..
Mutual was first of the four radio networks to replace leased telephone lines with satellite transmission of its programming to affiliates beginning in the fall of 1977. The network’s entire chain of stations had satellite dishes four years later. The idea of placing a geostationary communications satellite some 22,000 miles in space to relay electromagnetic waves carrying radio and television signals was first proposed by futurist Sir Arthur C. Clarke in a 1945 Letter to the Editor of Wireless World magazine. His concept was subjected to ridicule at the time but Clarke had the last laugh.